My 2015 winter photo project took me to the northern most Hawaiian Island of Kauai. 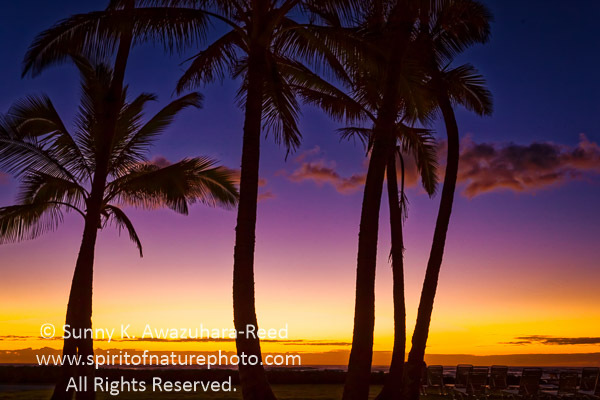 I have been spending some time in the Hawaiian Islands during the winter months for the past three years. I have traveled to the Big Island, Oahu, and Maui so this winter I flew to the northern most Hawaiian Island, Kauai. 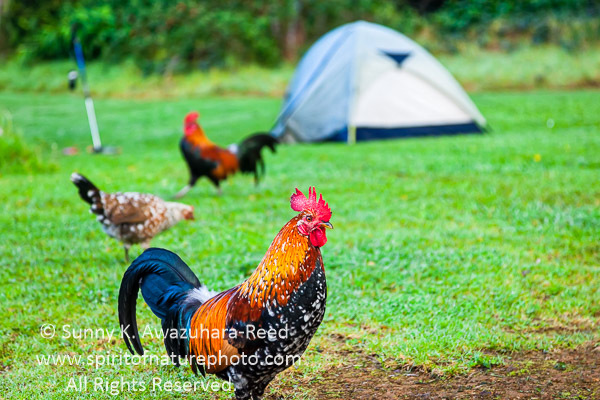 Kauai is the smallest island among those four islands, but as a nature photographer, Kauai offers a variety of outstanding landscapes in a small package. As the name of the "Garden Island", the island is covered with lush tropical greens with bright colored flowers! 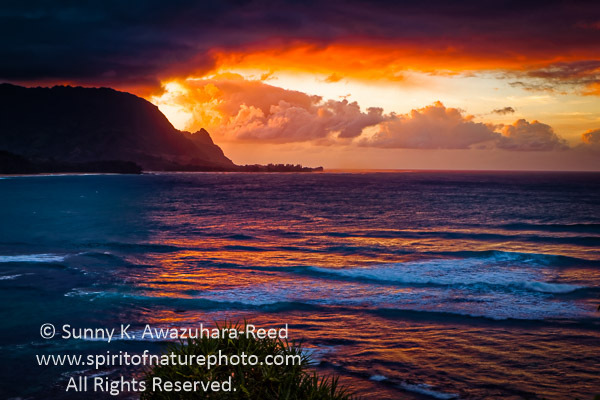 This sunset was shot overlooking Hanalei Bay. The storm clouds moved in before sunset and the low angle sun painted clouds in golden orange. The opening sky was red, and the color reflected on the ocean. 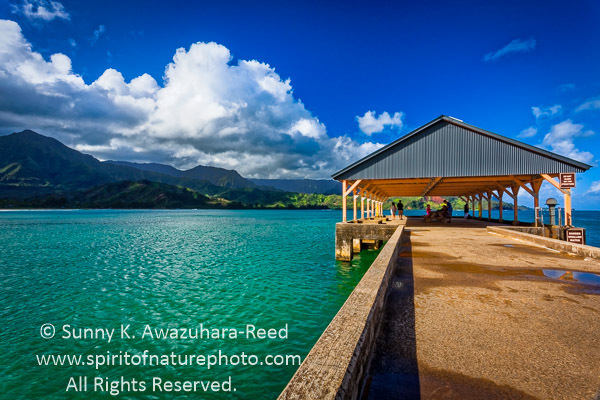 This is a Hanalei Bay under day light. The tropical ocean was turquoise green under blue sky. 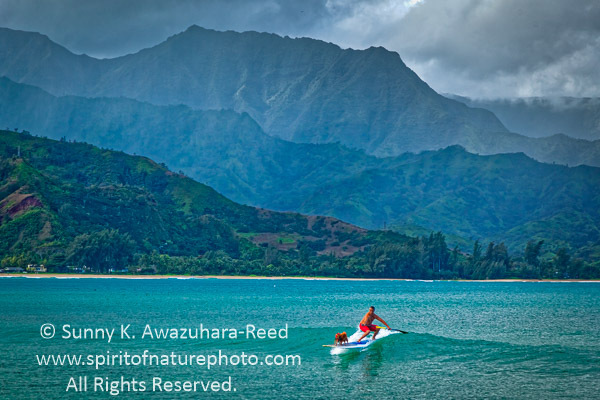 Hanalei Bay represents my dream landscape of Hawaii; tropical ocean surrounded by a rugged green mountain backdrops. Here is the sunrise at Kappa, the east coast of Kauai. Typical sunrise view with palm silhouettes. "Garden Island" is the perfect name of Kauai. 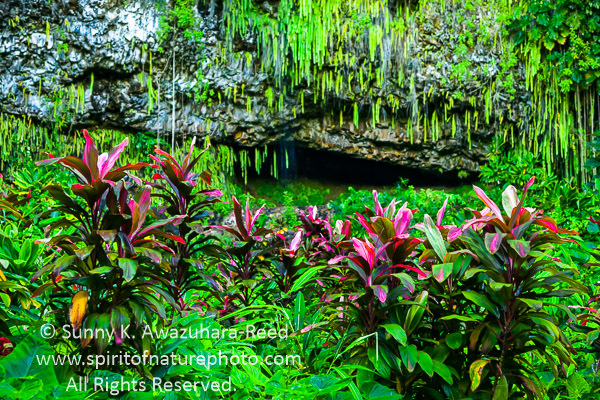 Fern Grotto, the ferns hanging on the natural lava cave along the Wailua River, accessed only by tour boat. I wish I could have spent more time to compose from different angles. 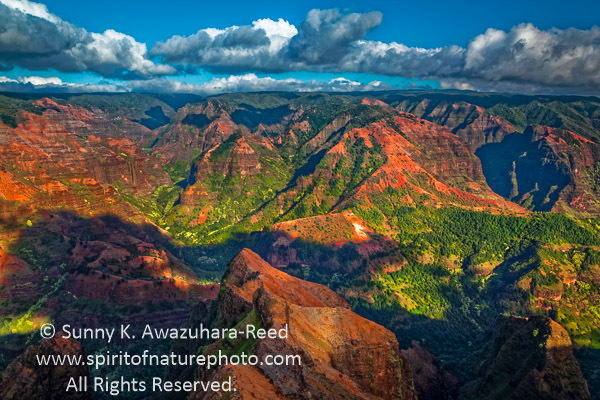 Waimea Canyon is another natural wonder on Kauai. Often described as "the Grand Canyon of the Pacific", its dramatic landscapes are greener than the Grand Canyon. This is another place that I'd like to explore in depth in future visits. Kauai, as with other Hawaiian Islands, offers a unique wildlife presence on the island. 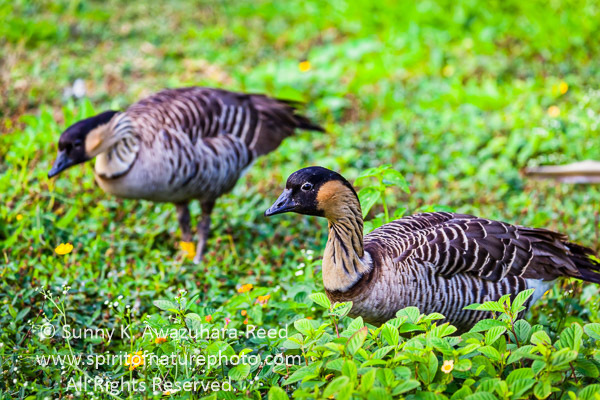 The Hawaiian goose called the Nene is especially high within Kilauea Point National Wildlife Refuge. 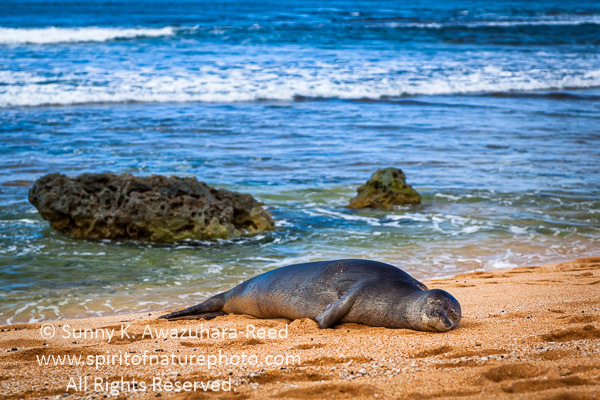 Hawaiian Monk Seal laying on a northern beach of Kauai. There are countless photogenic locations on Kauai, nevertheless, backpacking along the Napali Coast Kalalau Trail was the highlight of this trip... The 11 mile trail along the Napali Coast was spectacular but treacherous and strenuous. Hiking on the muddy narrow trail along vertical cliffs with my heavy pack (photography gear and camp gear) was really challenging. The paradise waiting at the end was worth the effort.. I'll post some photos and my adventure story from Napali Coast on my next blog. Please check back in 2-3 weeks!